Who’s truths are you living??? I love the times we are living in now. I like that I have running water, my rubbish is conveniently picked up and disposed of for me, I don’t need to dig a hole to go to the toilet, (thank god for that….Hehehe!!) I can get everything I need to cook at a handy store, not to mention almost anything else I require, and do I need to even bother talking about all the technological advances that make so much of what we do these days easier? Now of course there is always two sides to every story, and many people will say “Yes, but……..” bringing up all the negative aspects, stories, evidence and experiences from their point of view of why this or that is not as good as you may think it is, and although their negative perspective may be “their truth,” do you think that’s a good enough reason for you to focus on it in a not good feeling, negative way? They are unwanted aspects that someone else, or a collection of individuals have focused on that the Law of Attraction has responded too, that has attracted evidence they are now observing, and often manifestations they may also be experiencing in their life. So they are not making it up, or not telling the truth, but they are telling you a truth that they have created, or a truth that has been originally created by others that they then observed and focused on with strong emotion, achieving power and momentum behind those thoughts and unknowingly bringing it into their world. Once we are understanding how we are creating our own life experiences, not because someone told us, but because we have experienced it in our own life, it often takes some time to work through the reasons why we may still be focusing on unwanted circumstances others are bringing to us, and although it will be different for everyone, here is a list that may give us some food for thought, so to speak. ~ If it’s a subject we feel very strongly negative about, this is a good indication we still have resistance in relation to whatever the subject matter is which we may want to make an effort to move to a better feeling vibrational place about. ~ We may have become accustom to behaving or reacting in a certain way when interacting with others that’s not in our best interests, or the other persons interest for that matter either. For example being very sympathetic by listening and agreeing with negative contemplation. 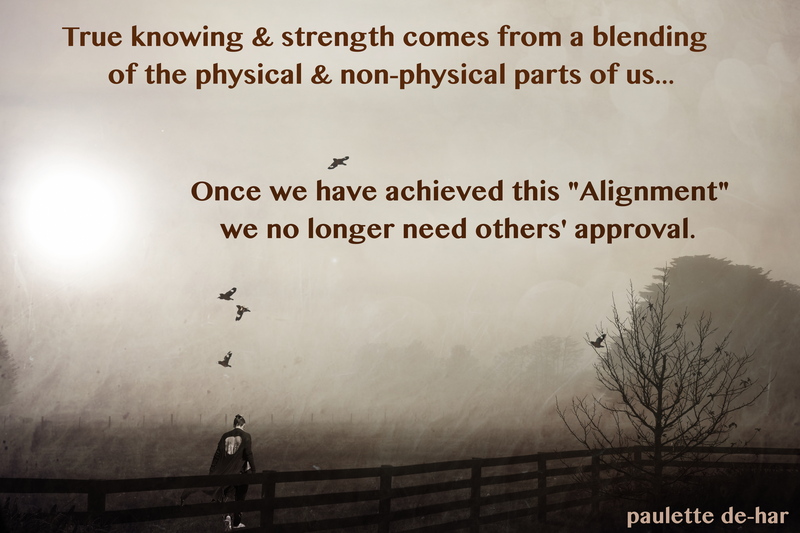 ~ Is it important for us to gain approval from and be liked by everyone we interact with? ~ Is this subject or circumstance something I want to bring into my world and experience? ~ Can I focus on this negative subject and bring it into a more positive place? ~ Is how I am thinking and feeling right now moving me closer or further away from that which I am wanting? ~ Do I feel this interaction is going to be a positive experience for all parties? I know, sometimes things don’t always unfold how we want them too, even when we’ve had the best of intentions, but I do feel that if we can take a few moments to ask ourselves these sorts of questions when deciding what to give our powerful and focused attention too, “It is so good,” for yourself, and every single person that has the good fortune to come into contact with you!! Next Article The apple doesn’t fall far from the tree….